Cairns offers students the unique opportunity to learn by exploring some of the world’s most impressive ecosystems. With vibrant reefs and dense rainforests, it’s a place of striking natural beauty. A school tour to Cairns is a sure way to spark an interest in biological and environmental science. Students will be immersed in different natural systems and learn about the biodiversity of this tropical oasis. Surrounded by breathtaking landscapes, students may not even realise the learning taking place on a deeper level. Students will build an understanding of environmental challenges relevant today and get involved in some community service activities including raising awareness for stormwater pollution by stencilling colourful and creative messages on stormwater drains. The magnificent Great Barrier Reef covers an area of 348,700 square kilometres and is home to the greatest variety of flora and fauna species found in any one location in the world. 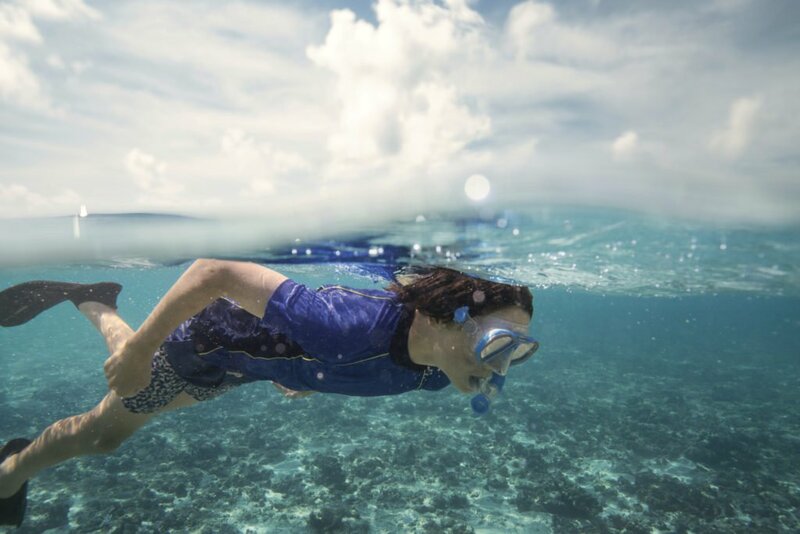 Students will get to know this great wonder of the natural world by exploring the marine life around the pristine Fitzroy Island. 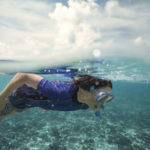 Students encounter a range of marine life, as they spend the day snorkelling or peer into the underwater ecosystem on a glass bottom boat tour. In an exercise with CoralWatch, students will learn about Coral Bleaching, why it happens and what it means for the reef. At the turtle rehabilitation centre, students will confront the consequences of pollution and see how sick and injured turtles are rescued from the reef and treated. Students will explore one of the world’s most ancient rainforests, the Daintree Rainforest. This unspoiled corner of Australia amazes thousands of travellers with its crystal clear streams and dramatic mountain ranges. Students learn about the biology, ecology and the antiquity of the forest at the Daintree Rainforest Discovery Centre. In an immersive experience in the JCU Canopy Crane, students survey 1 hectare of the forest from above in a suspended gondola. The vantage point gives a full appreciation of the incredible biodiversity that has earned the Daintree Rainforest UNESCO World Heritage status. Kayaking along Bulgan Creek with an Aboriginal guide, students listen to stories about the incredible spiritual connection our ancestors shared with the land. At the Tiapukai Aboriginal Cultural Park, students will enjoy a full day of interactive shows, dances, activities and demonstrations. They will build an appreciation for the Aboriginal way of life as they play the didgeridoo, throw a boomerang and learn about bush medicines and hunting methods. WorldStrides has over 35 years’ experience safely navigating school group across Australia.